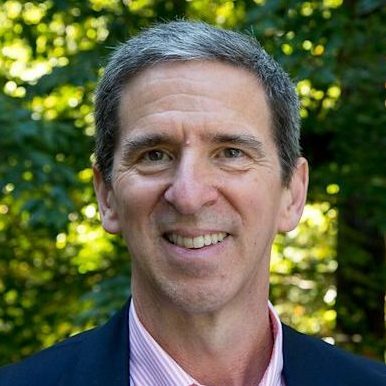 Larry’s hard work and intelligence, coupled with his open, collaborative, and caring spirit, showed voters that he was someone who would effectively represent them in the General Assembly. In 2019, he is bringing his talent and enthusiasm to bear as he runs again to represent the citizens of Chesterfield County. Larry’s Coast Guard family provided him with a strong example of service. His family, like many in the military, moved around the US before planting roots in Virginia. He received his undergraduate degree from Virginia Commonwealth University before earning a master’s degree in Rehabilitative Counseling from VCU. He is a licensed professional counselor. Larry and his wife Pat live in Midlothian. Their daughter Eileen attended Chesterfield public schools and now lives in Charlottesville. Read more on Larry&apos;s website. Larry supports expanding affordable access to essential healthcare for all Virginians. One in four people are directly affected by mental illness and addiction. Larry has devoted his life to public service in the mental health field and will advocate for community-based mental health and substance abuse services throughout the Commonwealth. Larry is a steadfast supporter of public schools and believes investing in our children is the best way to prepare for a better future. Most families want excellent public schools and hope their children have an equal opportunity to obtain a first-rate education. To recruit and retain top-notch teachers who can provide this education, he believes we need to pay them well – at least at the national average. To maintain high quality schools, Larry thinks we need to lower student/teacher ratios and empower teachers to have greater classroom autonomy, while reducing the focus on standardized testing. A strong, vibrant public education system attracts families to Chesterfield, ensuring the future viability of our community, and helps to power our local economy with well-educated young people. Larry was endorsed by the Sierra Club in the 2017 campaign for my position on safeguarding our clean air and water and protecting the environment for future generations. He will work tirelessly to protect and preserve Virginia’s valuable natural resources. Larry fully supports the development of innovative, sustainable, and renewable energy and technology sources, such as solar and wind, that will enable Virginia to move toward a better future. He has pledged to not accept funds from Dominion or Appalachian Power to avoid the appearance of undue influence and focus on serving the people he represents. As a healthcare professional, Larry sees gun violence as an epidemic and one of the top public health crises. He supports common sense efforts to effectively reduce gun violence. This includes universal background checks whenever firearms are purchased and emergency protective orders that enable family members to temporarily remove firearms from loved ones during a crisis. Currently, elected representatives can choose their voters rather than voters choosing their representatives. 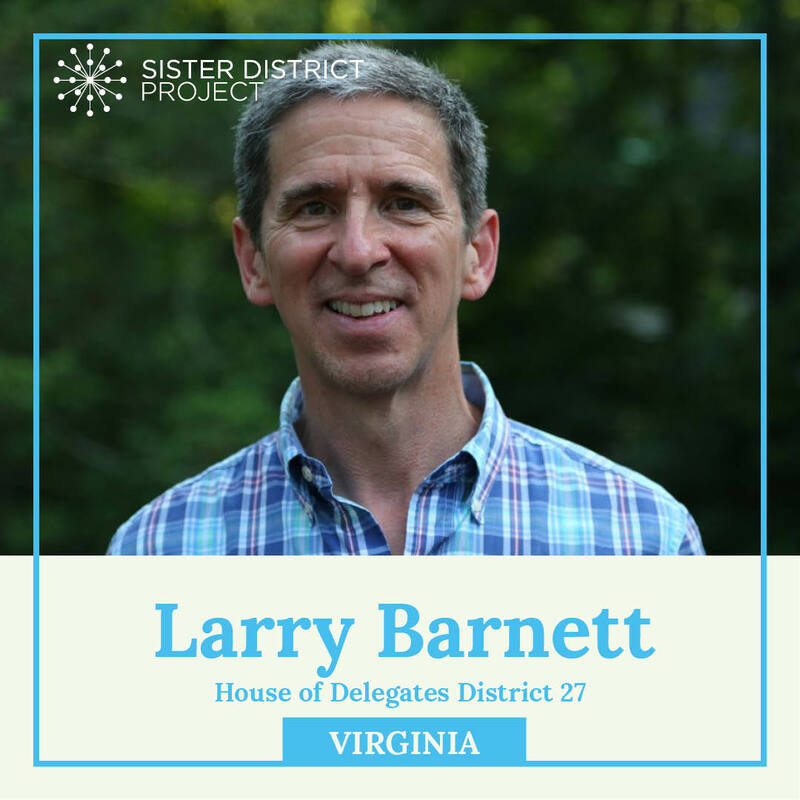 Larry is a member of OneVirginia2021, a group that is working to create fair political boundaries in Virginia. He supports an independent commission as the best alternative for providing voters with districts that are compact, contiguous, and fairly drawn. People want to live in a safe community with well-trained police officers who respond with compassion and respect when there is an emergency. As the Chesterfield County Crisis Intervention Training Coordinator for many years, Larry helped plan, develop, and implement a cross-departmental initiative that equipped police officers, sheriffs, fire-fighters, 911 dispatch officers, and other emergency personnel with the skills to safely de-escalate and defuse situations when people are in crisis. His work has made him an even stronger proponent of our local law enforcement. Throughout his career, Larry has worked with individuals from all walks of life, while listening to the issues that are important to our community. These experiences have strengthened his belief in equal treatment for all people, regardless of age, gender, race, sexual orientation, gender identity, income level, or religious belief. Everyone in Virginia should have the opportunity to live, work, and fully participate in society without the fear of discrimination. Larry believes in the dignity of work and building an economy where all people have an equal opportunity to succeed. Virginia has a low unemployment rate and is one of the best states in which to do business in the nation. Let’s keep it that way by making sure we have affordable housing, good job opportunities, and a healthy workforce. Local businesses are vital and contribute a great deal to our community. A well-trained and educated workforce will ensure that established businesses and new, innovative ventures will continue to expand and thrive, sustaining our local economy. Campaign finance regulations in Virginia need to be significantly improved. Our democratic process will be better served if candidates and representatives are prohibited from accepting campaign funds from corporate PACs. In addition, he belives we can protect against undue influence on campaigns by capping individual donations at $10,000. Most importantly, Larry believes candidates and representatives should never be allowed to use campaign funds for personal use.